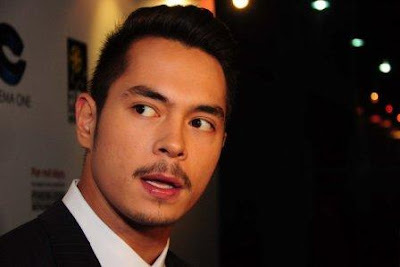 Hunk actor Jake Cuenca is seen both in daytime and in Primetime as he leads in two Kapamilya teleseryes. 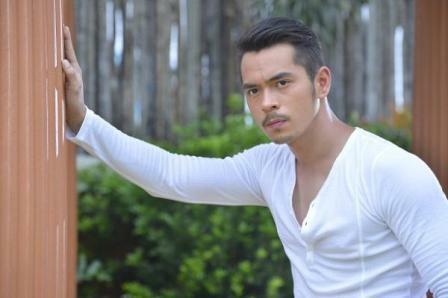 In daytime, he stars in "Kung Ako'y Iiwan Mo" while in Primetime, he topbills "Kahit Puso'y Masugatran!" In the OFW-serye "Kung Ako'y Iiwan Mo," Jake plays the character of Paul, a married OFW who is working in Doha, Qatar and is trapped in love affair with his former girlfriend who eventually becomes his mistress! Shaina Magdayao and Bangs Garcia are Jake's two leading ladies in the said afternoon soap. Meanwhile in Primetime Bida, Jake is playing the character of a rich son Rafael who loves photography. Once more, he will be a torn between the characters of two bestfriends Iza Calzado and Andi Eigenmann. Jake Cuenca Plays Paul in "Kung Ako'y Iiwan Mo"
Jake Cuenca Portrays Rafael in "Kahit Puso'y Masugatan"
Jake is the only lead actor who was given opportunity to be seen in two running teleseryes at the same time. And both of these teleseryes lead in their respective timeslots. "Kung Ako'y Iiwan Mo" is now taking the No. 1 in daytime beating the longest running noontime show "Eat Bulaga." Meanwhile, the recently premiered "Kahit Puso'y Masugatan" now taking a spot being the country's most-watched Primetime TV series!